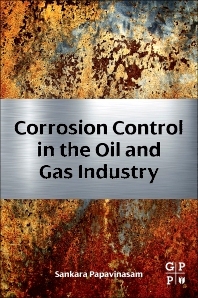 The effect of corrosion in the oil industry leads to the failure of parts. This failure results in shutting down the plant to clean the facility. The annual cost of corrosion to the oil and gas industry in the United States alone is estimated at $27 billion (According to NACE International)—leading some to estimate the global annual cost to the oil and gas industry as exceeding $60 billion. In addition, corrosion commonly causes serious environmental problems, such as spills and releases. An essential resource for all those who are involved in the corrosion management of oil and gas infrastructure, Corrosion Control in the Oil and Gas Industry provides engineers and designers with the tools and methods to design and implement comprehensive corrosion-management programs for oil and gas infrastructures. The book addresses all segments of the industry, including production, transmission, storage, refining and distribution. Dr. Papavinasam is President of CorrMagnet Consulting Inc. He has 20 years of experience in the oil and gas industry. He has led several joint industry projects with more than 50 companies developing new corrosion solutions and insights to manage internal corrosion, microbiologically influenced corrosion, and external corrosion of oil and gas industry. He has published over 100 papers, contributed to 5 book chapters, developed 3 software products, and received 2 patents. Corrosion Control inthe Oil and gas industry.